I am passionate about teaching movement and believe it can help improve both physical and mental wellbeing; our bodies and minds are positively responsive to physical exercise - it needn’t be massively time consuming or always intense, just regular and varied. A running injury brought me to Pilates and inspired me to further my existing Personal Trainer qualification to teach the many benefits of this method of movement. I continue to enjoy running, (injury free, with the help of Pilates and Yoga) and participate in 5k,10k and Half-Marathon races. My teaching style comes from a desire to motivate, educate and empower my clients with energising, fun and uplifting classes, as part of a healthy & balanced lifestyle. I offer small group, mat based Pilates classes in and around Dulwich and 1:1 Reformer Pilates from my boutique studio in Herne Hill/North Dulwich. I also offer specialist instruction for Ante and Post Natal Pilates and Pilates for Runners. I am delighted to also offer Pilates and Yoga Wellness Weekends at Tilton House, in the beautiful South Downs National Park in Sussex - the next one taking place is 11-13 October 2019 - absolutely no experience of Pilates or Yoga is necessary. My qualifications have been gained through Body Control Pilates Association as well as other world renowned training organisations. Please see further details below. I am a member of Register of Exercise Professionals- Advanced Level and Independent Yoga Network and hold current public liability insurance and first aid/CPR certificate. In addition to the the qualifications below, I am committed to CPD (continuing professional development) & attend ongoing workshops and further training. The aim of Pilates, is to enable complete co-ordination of body, mind and spirit and restoring normal and natural movement of the body. Natural, normal movement requires a focus on a combination of good joint and muscle activity, to enable good posture, balance, strength and flexibility. 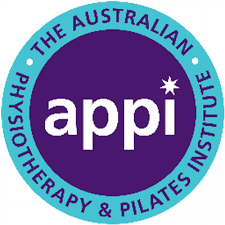 The comprehensive anatomical Pilates training is recognised by physiotherapists and osteopaths, working with patients experiencing musculoskeletal conditions. Pilates uses mat based exercises and studio equipment, both of which are suitable for all levels of fitness and Pilates experience.